SPOT COLOR IMPRINTS: Imprinting may be limited to the number of colors that can be imprinted, with the first color being included in the base price. Usually it is 1, 2, or 3 colors maximum. There is a charge for each color's setup and each color's running charge. Black and white camera ready art is required. Multiple color art must be color separated. Not all colors are available as standard ink colors. Many manufacturers offer a color-match for an additonal fee. Please refer to the "PMS" definition. 4-COLOR PROCESS IMPRINTS: Also referred to as full-color printing or digital printing. It is best used when there is a large amount of color in a logo. Not all products can be imprinted with full color. Cost of setup is dependent on the product to be imprinted. Artwork must be CMYK, and no less than 300 dpi at 100% actual size or larger. Exact color matching is not possible with this process. BLEED: If imprint is to be printed to the edge of an item, art must extend off the edge by 1/4" per edge. Please call for assistance. ARTWORK FILE TYPES AND PREPARATION: Digital files must be compatible with the following programs and formats. Please follow specific instruction for each program. Screens must be between 15% and 65%. All text must be converted to outlines. ADOBE ILLUSTRATOR: Vector art (created or drawn) without any placed images. File types EPS or PDF. QUARK XPRESS: Vector art (created or drawn) without any placed images. File types EPS or PDF. ADOBE PHOTOSHOP: Bitmap art. File types TIFF (at 300 dpi or higher) or PDF. COREL DRAW: Vector art. File types EPS or PDF. Files that cannot be accepted: Microsoft Word, Microsoft Publisher, Corel Draw native, other word processing software, other graphic design software. LESS THAN MINIMUM ORDER CHARGE: The first column amount is usually the lowest quantity that can be produced. Certain manufacturers will produce less than that amount for an additional charge. Each maunfacturer will have their own charge, and may have an absolute minimum fee for the entire order. OVERRUNS / UNDERRUNS: The difficulty of manufacuring/printing exact quantities produces a mandatory 5-10% overrun or underrun. Most manufacturers will charge accordingly for overruns and underruns. If no overruns will be accepted, order must clearly state "No Overruns. ", and there may be a charge for this. If no underruns will be accepted, order must clearly state "No Underruns", and there may be a charge for this. In certain circumstances, this request may not be possible. CANCELLATION OR CHANGE TO ORDER: If cancellation or changes need to be made after the order is sent to production, a minumum $50 charge plus all costs incurred up to that point will be charged to the client. Many times production may already be processed or imprinted. Image Marketing Specialists reserves the right to bill for all charges. PRICES: Please consult Image Marketing Specialists for current pricing prior to placing an order. Natural catastrophes and worldwide economic conditions may result in unforeseen price increases over and above any published prices, whether online or in a physical catalog. TERMS: All orders will be subject to a 50% deposit, at minumum, upon order approval. Payment in-full is expected at time of delivery. 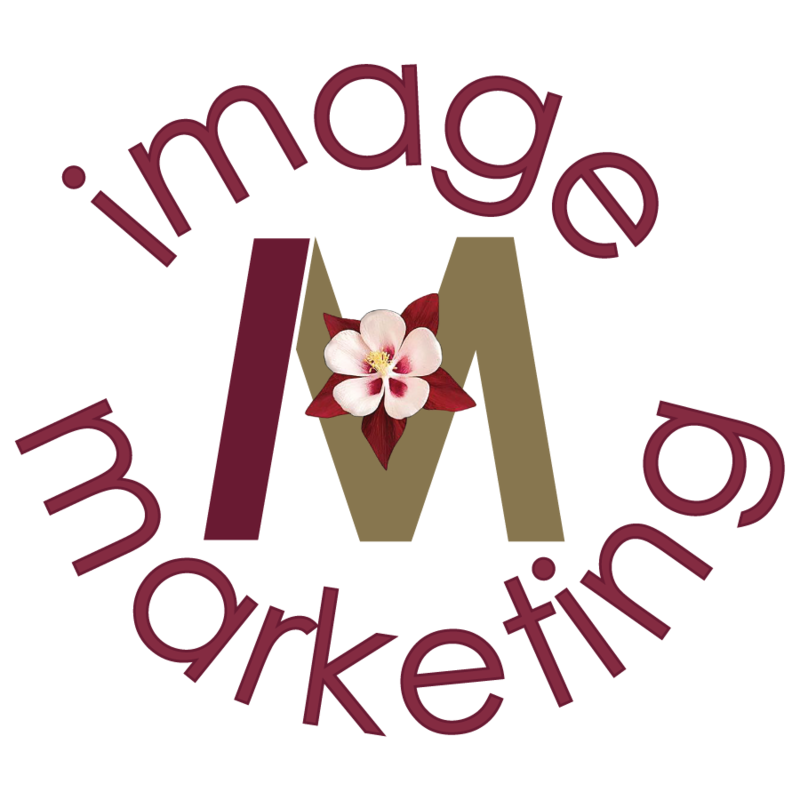 Image Marketing Specialists will assess a $2.50 rebilling fee for each 15 days payment is delayed. Cash, Checks, and Credit Cards are accepted. All credit cards are processed through PayPal. RUSH ORDERS: In some cases, production time can be shortened to meet deadlines. However, be aware that significant charges will apply. For example, a $50 flat fee or a 20% to 100% additional fee. Each production type and manufacturer will have different requirements. In addition, there may not be time for any proof, whether physical or virtual, to ensure proper imprint. The client will bear full responsibility for any inaccuracies due to reduced production time. Additionally, some manufacturers require next day shipping, in addition to their rush time. The client will be responsible for these extra charges. STANDARD PRODUCTION TIME: Each product and manufacturer will have their own production time. Typically, when produced domestically, it will be 5-15 working days, plus shipping time. Overseas orders can be 2-6 months in production. SHIPPING COSTS: Most orders will incur a shipping charge, which brings the product from the manufacturer to the client. In all cases, production will be done as close to the client's final destination as possible, given all the parameters necessary to successfully complete production. Camera-Ready: artwork that is black and white and has very clean, crisp lines that make it easy to scan and suitable for photographic reproduction. Imprint Area: the area on a product, with specific dimensions, in which the imprint is placed. Setup Charges: the cost to make the artwork fit the printing equipment and prepare the equipment for the imprint of your logo onto the product. Setup may include washing the ink color off of the machine once a product is imprinted. Spot Color: A single, solid ink color that is specified either by name or PMS number. 4-Color Process: a system where a color image is separated into 4 different color values by the use of filters and screens (usually done digitally). The result is a color separation of 4 images, that when transferred to printing plates and printed on a printing press with the colored inks cyan (blue), magenta (red), yellow, and black, reproduces the original color image. These four colors can be combined to create thousands of colors. PMS - Pantone Matching System: a book of standardized color in a fan format used to identify, match and communicate colors in order to produce accurate color matches in printing. Each color has a coded number indicating instructions for mixing inks to achieve that color. Bleeds: printers cannot print right to the edge of a paper sheet. To create that effect, the printer must use a sheet, which is larger than the document size. Then the printer prints beyond the edge of the document size (usually 1/8”), then cuts the paper down to the document size. Paper Proof: an impression of type or artwork on paper so the correctness and quality of the material to be printed can be checked. There is often an additional cost to this process. The lease expensive is a regular black and white emailed or faxed paper proof. Pre-production Proof: an actual physical sample of the product itself produced and sent for approval before an order goes into production. Shipping Charges: the cost to bring the finished product from the manufacturer to your office. Drop Shipment: an order shipped to more than one location will be charged a fee for each additional destination. Less Than Minimum: the fee charged for ordering fewer items than the quantity listed as the minimum or first column. This option is not always available on all products. Etching: using a process in which an image is first covered with a protective coating that resists acid, then exposed, leaving bare metal and protected metal. The acid attacks only the exposed metal, leaving the image etched onto the surface. Engraving: cutting an image into metal, wood or glass by one of three methods – computerized engraving, hand tracing, or hand engraving. Colorfill: screen printing an image and then debossing it onto the vinyl’s surface. Embroidery: stitching a design into fabric through the use of high-speed, computer-controlled sewing machines. Artwork must first be “digitized”, which is the specialized process of converting two-dimensional artwork into stitches or thread. A particular format of art such as a jpeg, tif, eps, or bmp, cannot be converted directly into a embroidery tape. The digitizer must actually re-create the artwork using stitches. Then it programs the sewing machine to sew a specific design, in a specific color, with a specific type of stitch. This is the process known as digitizing. Pad Printing: a recessed surface is covered with ink. The plate is wiped clean, leaving ink in the recessed areas. A silicone pad is then pressed against the plate, pulling the ink out of the recesses, and pressing it directly onto the product. Debossing: depressing an image into a material’s surface so that the image sits below the product surface. Embossing: impressing an image in relief to achieve a raised surface. Hot Stamp: setting a design on a relief die, which is then heated and pressed onto the printing surface. Laser or Foil Stamp: applying metallic or colored foil imprints to vinyl, leather or paper surfaces. Personalization: imprinting an item with a person’s name using one of several methods such as mechanical engraving, laser engraving, hot stamping, debossing, sublimation, or screen printing, to name a few. Die-casting: injecting molten metal into the cavity of a carved die (a mold). Die-striking: producing emblems and other flat promotional products by striking a blank metal sheet with a hammer that holds the die. With vector files, why are you asked to “convert all text to outlines/paths”? There’s a simple reason for this: It’s an easy way to ensure your text will print as it was intended. If Image Marketing Specialists or the production factory doesn’t have the exact font you used when creating your artwork, it will have to substitute another font. This will cause your text to reflow and will surely look different than what you’ve created. You can’t simply give the font you used to the factory. It’s against the law. While this might be common practice, it’s not right. So avoid any legal issues by complying with the request. It’s easy to do – here’s how. When you still have your copy/words as Text, you will see a baseline at the bottom of the text, as well as a box with “handles” around the entire copy block. Once the change is made, the box will disappear and each letter will have an outline around its edges with points positioned around these paths. To make the change, simply select your text with the Selection tool. Go to Text in the menu bar. Scroll down to Create Outlines. If your document has multiple text boxes, you can go to Select > All and then Text > Create Outlines. This will help prevent missed text boxes, which could lead to problems later. It’s just as easy to convert text to outlines in CorelDRAW. All you have to do is select your text box, go to Arrange in the menu bar and scroll down to Convert to Curves. While still in text mode, you’ll notice that black dots appear in the four corners and in the center of the top, bottom, and sides of the text box. If you view the same text box in Wireframe mode, the black dots remain, but the color goes away, leaving an outline of the type. Once you convert the type to outlines, the text selection will look the same, but you will notice outlines around the nodes, or points, at various positions around the outlines. The larger the type, the more abundant these points will be. To convert multiple text boxes in a document, go to Edit in the menu bar and scroll down to Select All > Text. BIG TIP: Keep a copy, either a second set of graphics in the document or create a copy of the original document, before you convert the text. Once you make this change, you can no longer edit your text.